Some of my professional experiences have involved participating in cross-functional areas, so I knew all my colleagues’ way of working. I remember a company which just started using Git a few weeks before I joined. I found post-its on screens with 3 steps: first add, second commit, third push. They didn’t know the reason why those steps. They only knew that they should follow them in order not to get into trouble. However, problems happened frequently, so I decided to prepare a workshop about Git. I love to have maps in my mind. I don’t write “mind maps”, because they are a well-known type of diagrams. Now I’m talking about having frames, structures or any kind of graphical representation in the mind. For example, I started learning addition by imagining dice in my mind. So I prepared some drawings. It’s not necessary to be able to see the drawings to understand this post. I include an explanation for each of them, because of my awareness with accessibility. Furthermore, in this case, it’s very important to teach the vocabulary. Otherwise they won’t understand the messages from Git. The drawings are a good way to introduce them that vocabulary. At that time, you can explain the benefits of a distributed version control system. Tracked: files that Git knows about. Untracked: files that have still not been added, so Git doesn’t know about. As changes are ready in the working directory, they must be added in the staging area. 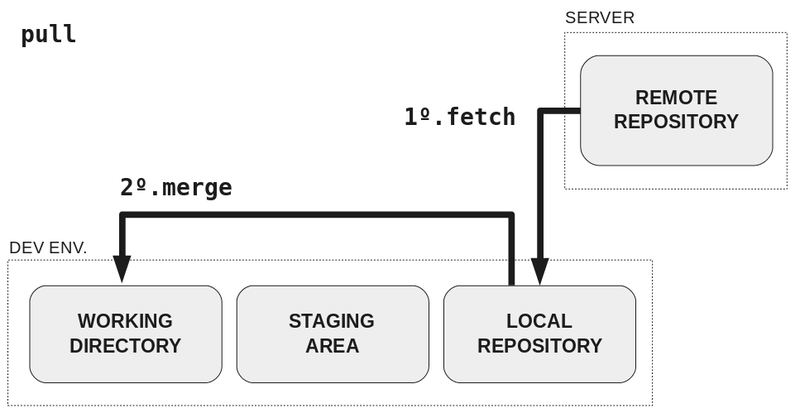 When there is a set of changes with a single purpose in the staging area, it’s the time to create a commit with a message about that purpose in the local repository. 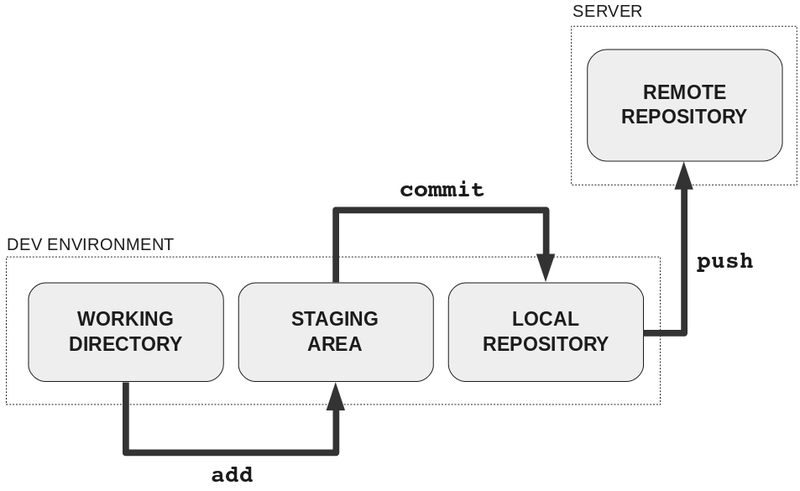 When there are one or several commits in the local repository ready to be shared with the rest of the world, they must be pushed to the remote repository. At that time, you can talk about the different states of a file in the development environment: modified, staged and committed. 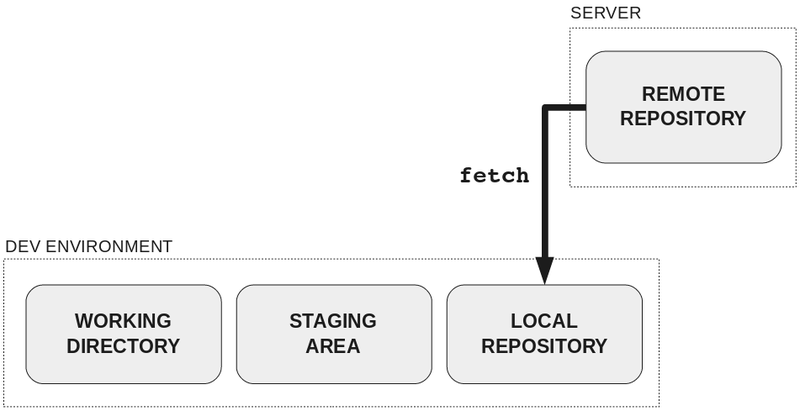 When executing git fetch, the data from remote repository only travel to the local repository. 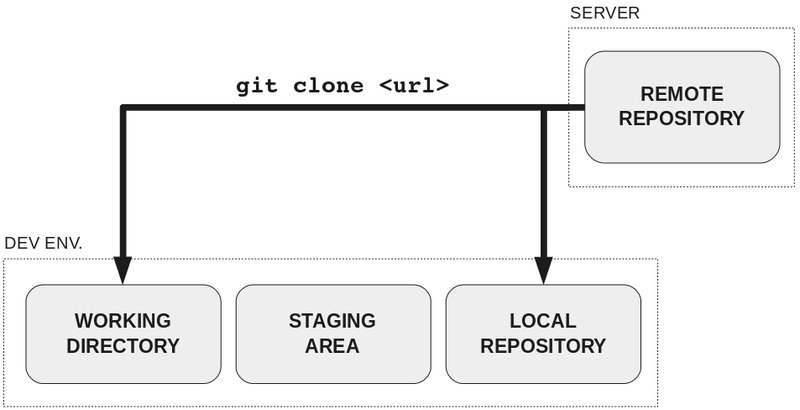 If you take care the commit history, consider the use of git pull --rebase. 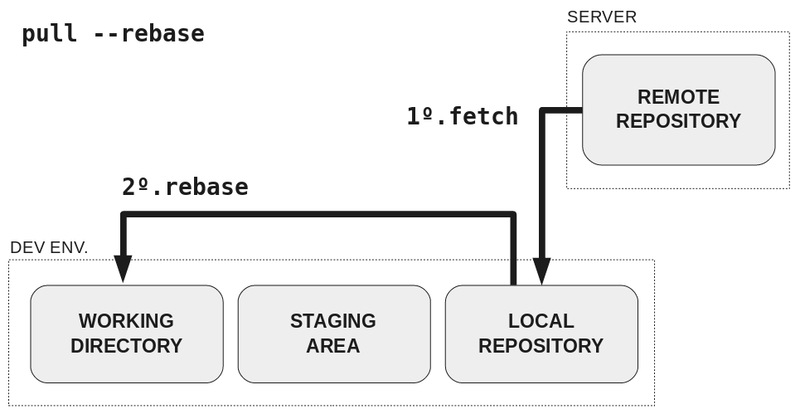 Instead of fetch + merge, it consists of fetch + rebase. Your local commits will be replayed and you won’t see the known diamond shape in commit history. You can add another area in the development environment to explain stashing: dirty working directory. If people internalize these concepts, it will be easier for you to go a step further with branches, commit history, rebasing, etc. because you will have built a solid basis. I’ve worked with other version control systems (Visual SourceSafe, TFS and Subversion) and, in my humble experience, a lack of knowledge can be harmful with both an old tool and a new one. Don’t only focus on choosing a tool, but also on mastering it. My friend Marc Villagrasa reminds me that he found it very useful to solve Git challenges and to share the solutions among colleagues. After reading more comments at Reddit, I think that a more accurate title for this post would be An idea to teach Git, because it’s only an idea that appeared in my head when learning Git by myself a few years ago with Pro Git book. This post is not a complete guide, only a starting point for trainers. I’m sure all of these resources will be very useful as well. Thanks! And thanks Stuart Maxwell who shared this post at Hacker News and u/cryptoz who shared it at Reddit!